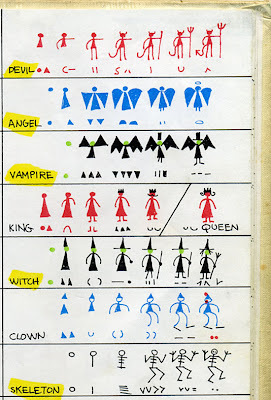 Here's a handy guide for drawing the spooky essentials straight from my childhood copy of Ed Emberley's Make a World, definitely one of the funnest books I grew up with. 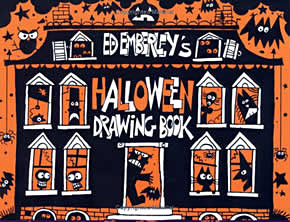 I'm a huge Emberley fan, and having said that--skip the Halloween book! 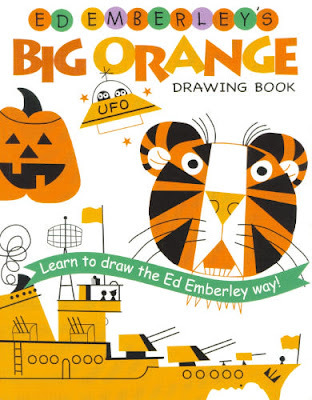 Get his "Big Orange Drawing Book," as it includes everything in the Halloween book and more! 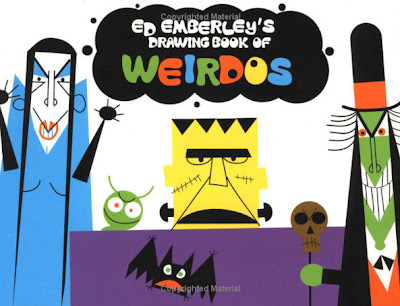 There's also "Ed Emberley's Drawing Book of Weirdoes" which as a child I always saw listed on the back of his books but never could find in any of the libraries. I love the fact that most of the figures have been highlighted (except that poor clown). And the angel gets lumped in with all the other creepy ghouls! I just bought this for my son. It's where I learned to draw way back when. I made a whole comic based on the "Shaggy Dog" figure. I loved those Emberley books when I was a kid. 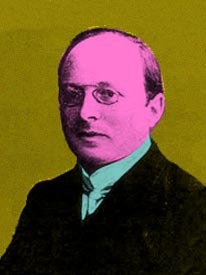 I haven't thought about him in years, but may go and pick up those more recent volumes. If it hasn't happened already, somebody should hire Ed Emberley to design an animated cartoon series! 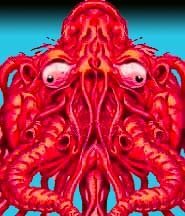 It would be ideal for Flash, as his website demonstrates. Thanks for the info Steve. Good to know. As you see I've adjusted the post accordingly. travis- ha, yeah that sad sack clown isn't worth his weight in rubber noses. And you've got to have the angel if you're going to draw massive angel/devil wars. good to hear from you Chris. I'm definitely looking forward to using this book with my son too. rozum- I'll be eagerly waiting to see your official Emberly store display. M. maniac- there's something very satisfying about drawing from these books. mainly because each drawing goes extremely fast and your drawing usually looks exactly like his. Modmom your daughter should love them, especially being very creative. When I drew the Emberley stuff as a kid, the drawings felt almost more like toys than art. I built houses,landscapes, and cities almost like I was playing with Legos or blocks. (So much fun.) I think I came away with a few new concepts, but I never felt like his teachings became a crutch. Thanks... I loved these books as a kid but couldn't remember the name of the artist who drew them!! Another dead brain cell recovered! Glad to hear it and glad you're enjoying the blog!